Fantasy Magazine has published my latest column, “Battle of the Comic Book Mega-Crossovers: Final Crisis vs. Secret Invasion.” It’s a fun look at the galaxy-spanning crossovers that Marvel and DC put out over the past year, including some nice visuals. Check it out, and while you’re there, check out some of their other awesome stuff, including stories by Michael Greenhut and Peter Ball, which made Fantasy’s top five stories for 2008 as voted on by readers. 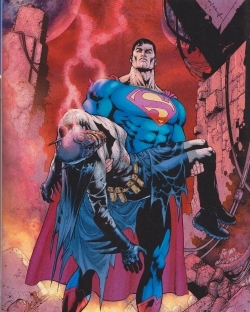 This entry was posted in Comics and tagged Batman, Brian Michael Bendis, DC Comics, Fantasy magazine, Final Crisis, Flash, Grant Morrison, Martian Manhunter, Marvel Comics, Secret Invasion, Superman, The Wasp by benfrancisco. Bookmark the permalink.